We offer a range of programs and activities to promote the understanding of arts in the community. 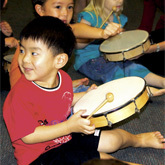 Music lessons - for children aged 18 months to 12 years old, as well as secondary students and even adults. UWA Open Day - held annually in August featuring course information sessions, as well as displays and course advisers to answer your questions. European Studies - French, German, Italian. Asian Studies - Chinese, Japanese, Indonesian. Confucius Institute - Chinese language and culture courses. Centre for Muslim States and Societies - consulting services to groups and businesses interested in interacting and investing in Muslim states. We have developed several postgraduate courses to meet the needs of industry and government. We welcome the opportunity to meet the training needs of your staff. Through Co-operative Education for Enterprise Development (CEED), you can link with our researchers, their undergraduate and postgraduate students, to research a topic of interest to you. Can your organisation host an Arts student for a practicum placement? Arts Practicum is a bridge between university study and workplace experience where an Arts students can work on a project of real value to a host organisation. Employers can design projects with students, according to their organisation's needs and the student's interests. If you are interested in hosting a practicum student, you may also be interested in being a Career Mentor to a UWA student. We have considerable expertise in research on Aboriginal Native Title, cultural heritage, and resource negotiation projects. Berndt Museum of Anthropology houses one of the most extensive collections of Indigenous art in Australia. Centre for Rock Art Research and Management promotes collaborative understanding and conservation of Indigenous heritage. The Centre of Excellence for the History of Emotions (Europe 1100-1800) is committed to investigating how societies, think, feel and function by examining the history of European development between 1100-1800 and comparing it with the present. The Centre's activities are designed to promote linkages and knowledge transfer. The Centre for Western Australian History can be commissioned to write a history of your organisation. The University Music Society and School of Music present a program each year of concerts and events showcasing the finest musical talent locally, nationally, internationally.